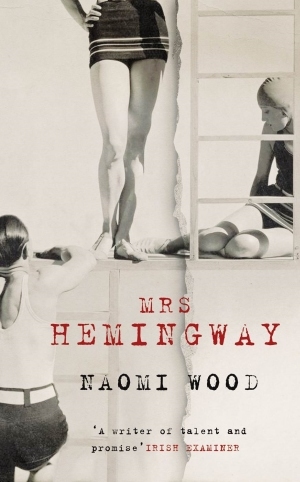 In a recent radio interview British writer Naomi Wood light-heartedly apologized to Americans for “appropriating” their literary hero, for it is Ernest Hemingway who is, inevitably, the pivot around whom her novel Mrs Hemingway turns. At some time in each of Hemingway’s marriages there were (at least) three integral participants, except perhaps for the first few months of his first marriage to Hadley Richardson. It is these triptychs that provide the structure for Wood’s novel as she focuses the story of each wife at the beginning and the end of their marriages and the points of overlap between the “unlikely sisters”. They were an eclectic collection: Hadley, the shy, slightly frumpy woman, out of her depth in Hemingway’s anarchic social world; Pauline Pfeiffer – Fife – the dazzling socialite who created an environment that nurtured Hemingway’s most creative period and who was left the most damaged by his philandering; Martha Gellhorn, ambitious and adventurous war reporter, famed in her own right; and finally Mary Welsh, the American journalist, daughter of a lumberjack; the tentative one, protective even after his death. As Mary, acknowledges: “Ernest had, by default, to be shared. There weren’t two women in her marriage; there were always four … The thing was not to be heartbroken about it.” Indeed, the wives stayed in contact with each other long after divorce, not quite a friendship rather an understanding forged by extremes of marital happiness and disintegration. The book takes us on the whirlwind of Hemingway’s life from the early days in bohemian Paris where we clink glasses with characters like Scott Fitzgerald, to a “jerkwater” island at Key West, Florida, battle-ravaged Europe, Cuba and eventually his final home, Ketchum, Idaho. We witness first hand his careless fascination with war, his monumental drinking and compulsive womanising and, always, the haunting highs and lows of his writing. At the heart of Mrs Hemingway is a conundrum: why Hemingway felt such a driving compulsion to marry, in one case less than two weeks after his previous divorce was finalized? A bitter and heartbroken Fife tried desperately to warn him of the destructiveness of this trait: “If you leave this marriage, Ernest, you’ll marry Martha and then you’ll find you just want another one. You always love at the beginning when it is easiest to love.” Hemingway’s explanation when later quizzed by Martha as their marriage imploded was: “Because I want to marry the woman I love. To show the world it’s us against them.” But in the end, the book never successfully settles the issue. Perhaps it’s an impossible quest. Wood stresses that the novel is a work of fiction although she researched it through records relating to all five of the main characters including the extensive archives relating to Hemingway himself. In the end, it is delightfully easy to get lost in Mrs Hemingway as her vivid imagination sweeps you away. I read it in two luxurious sittings when the only thing missing was one of Hemingway’s famous Papa Doble drinks.